Need to reach your car's roof? Our doorstep makes it EASY! 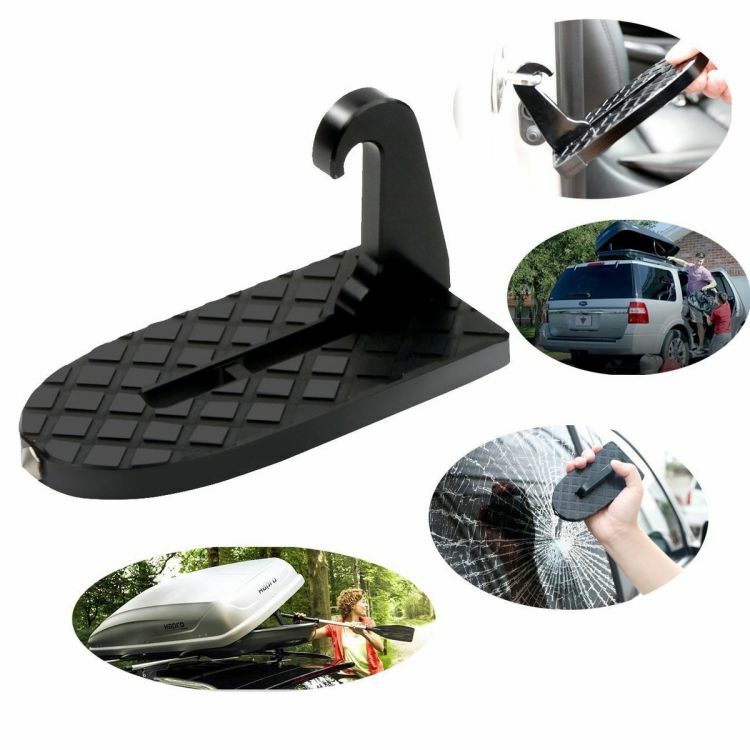 Easily gain access to your car's rooftop with the Multi-Functional Car Rootop Doorstep. Latch the doorstep onto the side of your door and climb on up! Now, you can reach ANYTHING! Will the doorstep cause damage to your vehicle? Each step and safety hammer is padded with leather to prevent damages to vehicle surfaces.This leather acts as a buffer. We've had ZERO complaints of this product damaging vehicles.